G'day mates, I think I might be turning into a real ocker now! 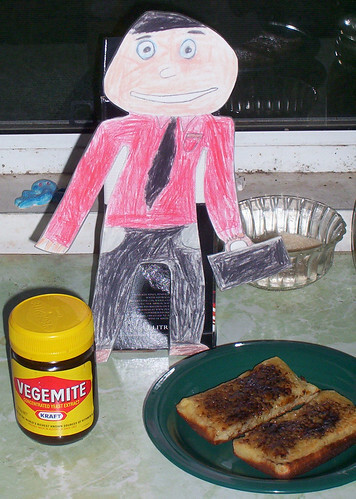 I had vegemite for breakfast on my crumpets and it was YUMMY! 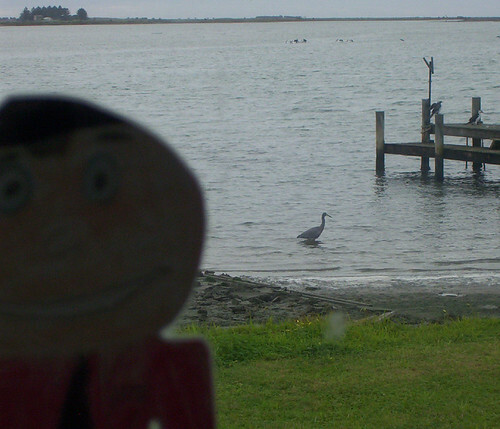 After breakfast I spotted some more strange Australian birds in the water in front of Vicki's house. This was a Heron and on the jetty were some more Pied Cormonants (do you know the other name for them is Shags?) and there were some swans further out in the channel. 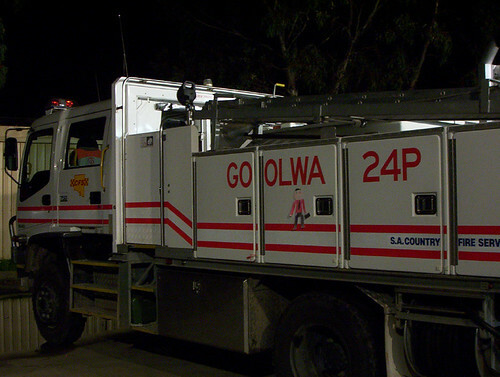 Later on we went to the Goolwa Fire station and I got to go on a BIG fire truck. The volunteers who are the firemen and women give their time and learn lots of skills to put out fires in Goolwa and on Hindmarsh Island. They were a great bunch. Another emergency vehicle lives in the same shed. 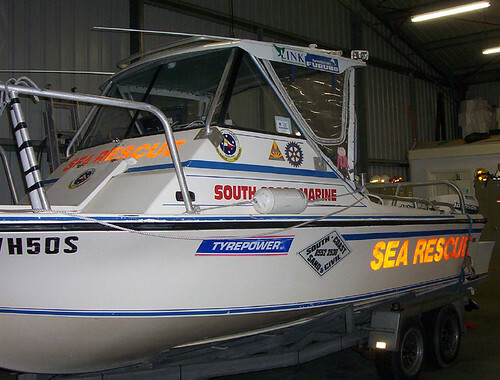 It is a sea rescue boat and is also manned by volunteers. They rescue people who get into problems on boats.